Everything you need to know about Budget car rental New Zealand. 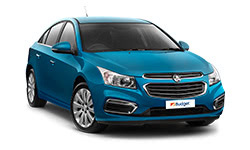 Budget New Zealand - a premier car rental supplier. Budget New Zealand is one of NZ's premier car rental suppliers, guaranteed to be one of the cheapest and best options. As a major supplier to New Zealand, business leader, and preferred partner of Air New Zealand, Budget doesn't get it's good reputation for nothing. Budget always leads the way in offering comparative rates for their cars. But they don't stop there, they also rent utes, vans, buses and trucks complete with hydraulic lifts to make moving house a breeze. Budget New Zealand also has an extended list of depots, renting in all major cities and even in remote areas of the country, for your renting pleasure. They also service all major airports.